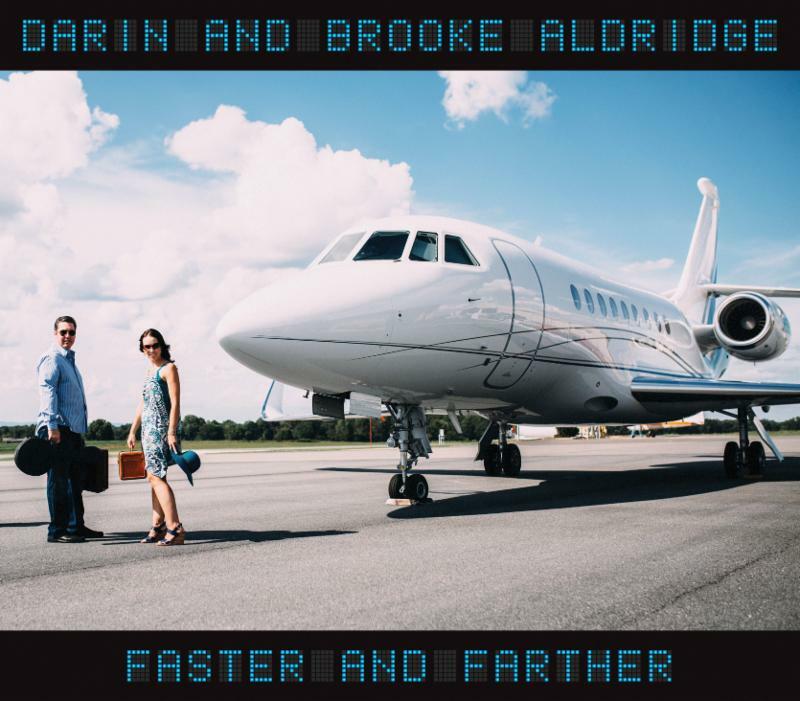 Nashville, TN (February 10, 2017) - It's wheels up for acclaimed husband/wife Bluegrass duo Darin and Brooke Aldridge as their new CD, FASTER AND FARTHER, lands in stores today. The new project, their sixth for the Mountain Home Music Company label, features the formidable talents of the Aldridges and includes special guest appearances by Bluegrass icon John Cowan, Country Music Hall of Famer Vince Gill and Flatt Lonesome's Charli Robertson. Radio can access the new music via Airplay Direct, and fans can purchase now online HERE. Today "Lila" enters the Bluegrass Today Weekly Airplay Chart at # 20, and the CD currently holds the # 5 spot on theRoots Music Report Top 50 Bluegrass Album Chart. The duo will celebrate the album's release with a hometown show tonight at the Don Gibson Theater in Shelby, North Carolina. On February 16, they'll share the new music with their Nashville area fans at The Franklin Theatre (Franklin, Tennessee) when they open for Cowan. "There's been a real sense of excitement building around this release since we started the recording process," observes Brooke. "We've continually pushed ourselves and our limits, and we truly believe that this our best record to date," adds Darin. Many of the songs from FASTER AND FARTHER use natural landmarks as metaphors for the heart, and present an inspiring project from masters of the genre in the process. Immaculate vocals, soaring harmonies and these well-crafted Bluegrass, Country and Gospel tunes make this 12-track CD a must-have for the serious music fan. The disc includes songs by Ian Tyson, Carl Jackson, Jim Rushing, Pat Flynn, Jerry Salley and other legendary hitmakers. The disc has already garnered significant media coverage that includes a performance on Music City Roots, as well as articles and reviews in and on Bluegrass Today, Bluegrass Situation, The Alternate Root, Bluegrass Notes, Roughstock, The Boot, Shelby Star, That Nashville Sound and Flashpoint Arts. 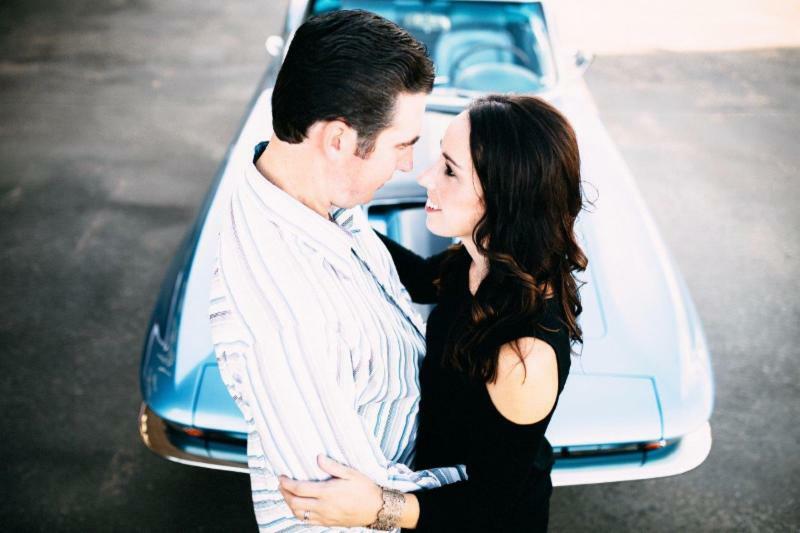 Husband and wife duo Darin and Brooke Aldridge hail from North Carolina and bring a touch of the hills to their rich harmonies and impeccable musicianship. Their distinctive sound has made them one of the hottest acts in acoustic music today. They have graced the top of the Americana/Roots, SiriusXM, Bluegrass and Gospel charts, received multiple nominations from the International Bluegrass Music Association (IBMA),the Society for the Preservation of Bluegrass Music of America (SPBGMA) and Inspirational Country Music (ICM). The two have appeared on PBS, Great American Gospel, The Bluegrass Road, Presley's Country Jubilee, RFD-TV, Rural-TV, Daystar Network, Blue Highways TV, Song of the Mountains and Music City Roots to fan and critical acclaim. Their previous CD, the still-popular SNAPSHOTS, debuted at the #8 spot on the Billboard Bluegrass Albums Chart and generated two engaging videos ("Wildflower," "Tennessee Flat Top Box") that were featured on CMT, CMT Edge, GAC, Bluegrass Ridge TV and The Bluegrass Situation.